208 pages | 21 B/W Illus. Iran has undergone considerable social upheaval since the revolution and this has been reflected in its cinema. 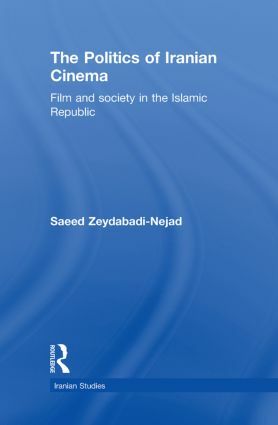 Drawing on first-hand interviews and detailed ethnographic research, this book explores how cinema is engaged in the dynamics of social change in contemporary Iran. The author not only discusses the practices of regulation and reception of films from major award winning directors but also important mainstream filmmakers such as Hatamikia and Tabizi. Contributing to ethnographic accounts of Iranian governance in the field of culture, the book reveals the complex behind-the-scenes negotiations between filmmakers and the authorities which constitute a major part of the workings of film censorship. The author traces the relationship of Iranian cinema to recent social/political movements in Iran, namely reformism and women’s movement, and shows how international acclaim has been instrumental in filmmakers’ engagement with matters of political importance in Iran. This book will be a valuable tool for courses on film and media studies, and will provide a significant insight into Iranian cultural politics for students of cultural studies and anthropology, Middle Eastern and Iranian studies. Saeed Zeydabadi-Nejad completed his PhD in Media Studies in 2006 at SOAS, University of London. He currently teaches at the Centre for Media and Film Studies at SOAS and at the Institute of Ismaili Studies.